Garson, G. D. (2014). Partial Correlation. Asheboro, NC: Statistical Associates Publishers. 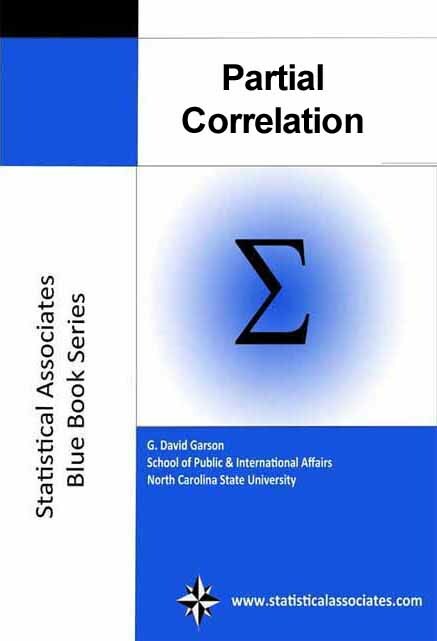 An illustrated tutorial and introduction to partial correlation using SPSS, SAS, or Stata. Suitable for introductory graduate-level study. Partial correlation is the correlation of two variables while controlling for a third or more other variables. The technique is commonly used in "causal" modeling of small models (3 - 5 variables). New, revised discussion and graphical illustration of suppression effects. Updates SAS syntax for recent version changes.